Because Pinterest is an awesome tool! I wrote a book about it! Pinterest is an awesome tool to grow your blog though not everyone thinks it’s working anymore. Have you felt like Pinterest hasn’t been bringing you as much traffic lately? I was reading a thread in a blogging group on Facebook the other day talking about how much less traffic they were getting from Pinterest when comparing this year to last year. Some of the bloggers responding saw a drop in traffic from Pinterest by 20, 50 and even 90%. So I checked out my own stats and my Pinterest traffic is up 200% from last year. 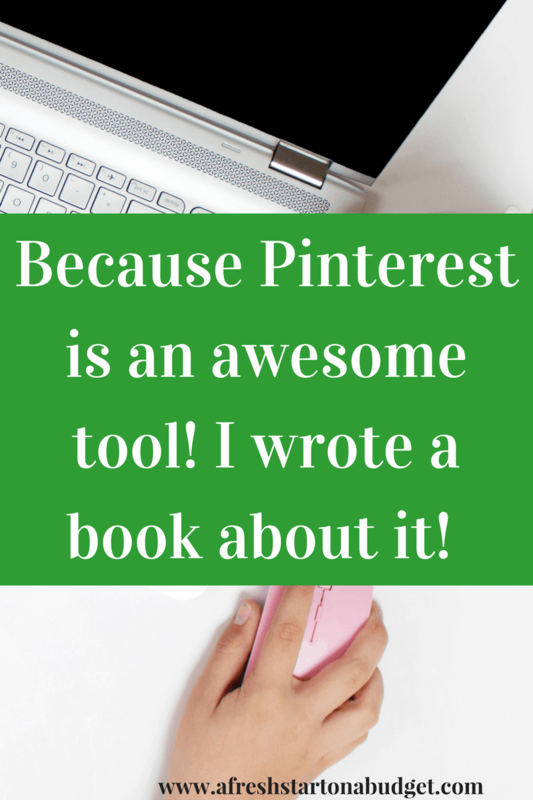 Pinterest is an awesome tool for blogging. 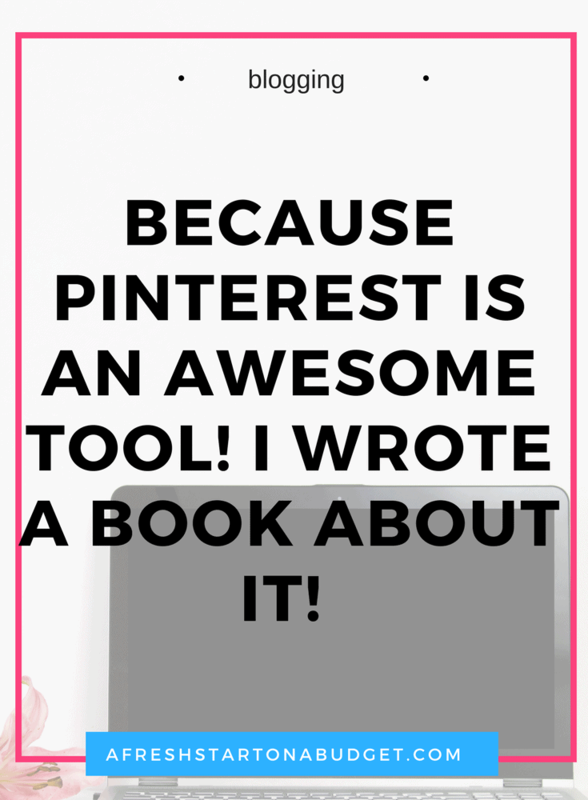 Pinterest is my main source of blog traffic and the platform I put the most time into. Which is why for the last few month I have been hard at work writing an ebook all about using Pinterest and growing blog traffic with Pinterest. The eBook is in PDF format and includes 21 chapters, and over pages. The price will be set at $24; however, I decided that I didn’t want the price to be the thing that prohibited someone from getting access to this information, so at checkout, the system will be set up to accept anything over $1. So you could technically put in $1, $10, $15, $24, $50 (hey a girl can dream right?  ), and it would work for you. Am I crazy? A little maybe. But I really am so passionate about helping other people start and grow their blogs because I have loved it so much myself, and I would hate for money to be the reason that someone decided not to go for their dream! When I started blogging another amazing blogger offered her book this way and because of her generosity I was able to afford her book and I learned so much from it. I wouldn’t be the blogger I am today without reading that book and her kindness. So in the spirit of paying it forward. I’m taking the risk and offering my book this way. I want everyone who wants to grow their blog or learn more about Pinterest to be able to. How to setup your Pinterest account. 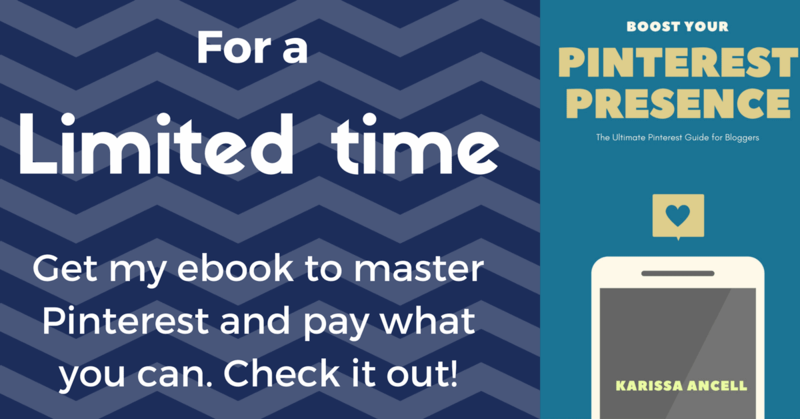 So for a limited time head over to my sales page and get your copy of Pinterest Presence: The Ultimate Pinterest Guide for bloggers and pay what you can. Congrats on your book! I am going to check it out! Thanks! I hope you enjoy the book and it helps you. Awesome work. Pinterest is such a great tool! Page 33 on your contents page needs to be amended from your to you’re because stands for you are. Thanks for letting me know so that I could fix it.